"Tonight will go down as the greatest night in history!" 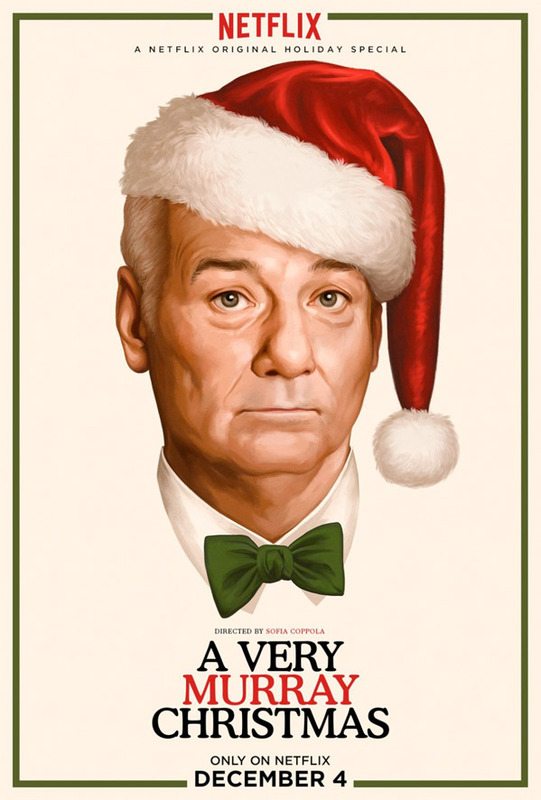 Netflix has unveiled a full trailer for their upcoming holiday special titled A Very Murray Christmas, a comedy musical starring Bill Murray, of course, plus: George Clooney, Rashida Jones, Amy Poehler, Maya Rudolph, Miley Cyrus, Michael Cera, Chris Rock and others. I didn't realize this was an entire feature (directed by Sofia Coppola) and not just a Christmas special, but it seems to be a mix of both, Netflix pushing the envelope in their own fun way this holiday season. This looks like it might be worth your time if you really love Christmas cheer - and musicals. I love these kinds of movies. They really bring out the laughs. God Miley Cyrus is gross. But anyway, can't wait for this!